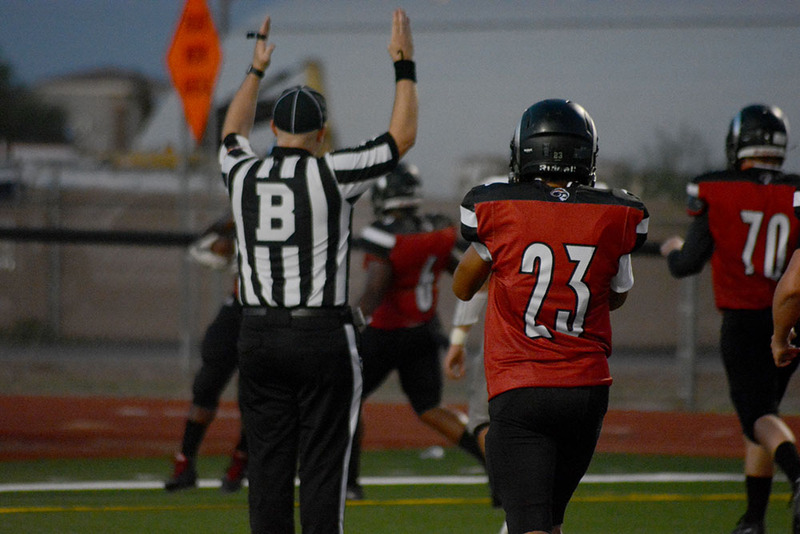 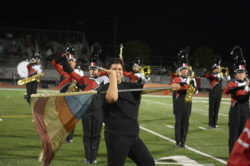 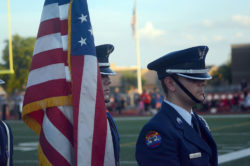 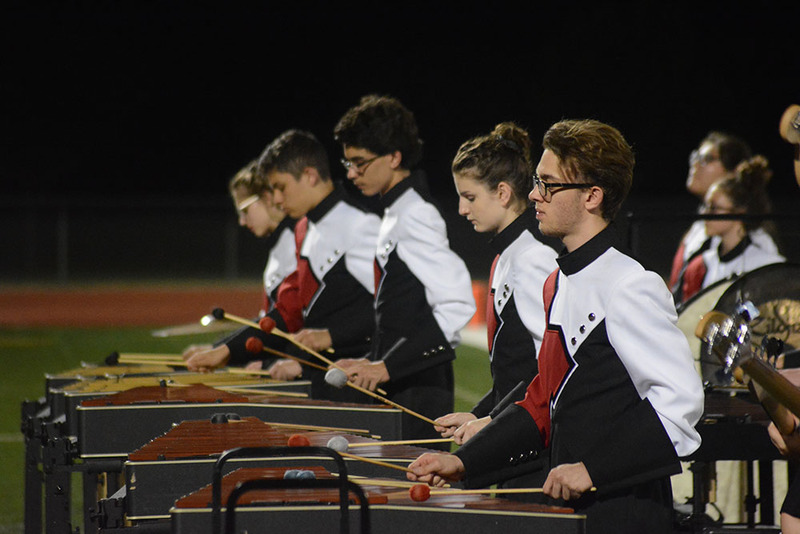 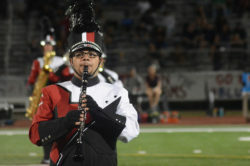 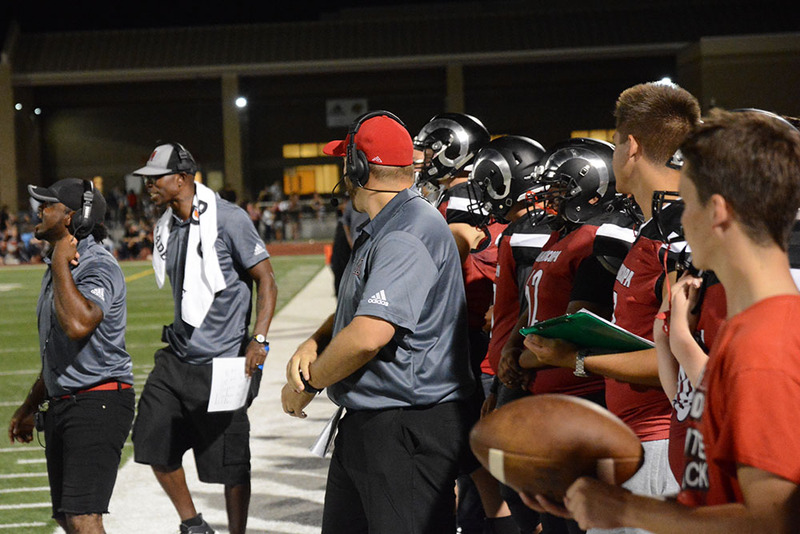 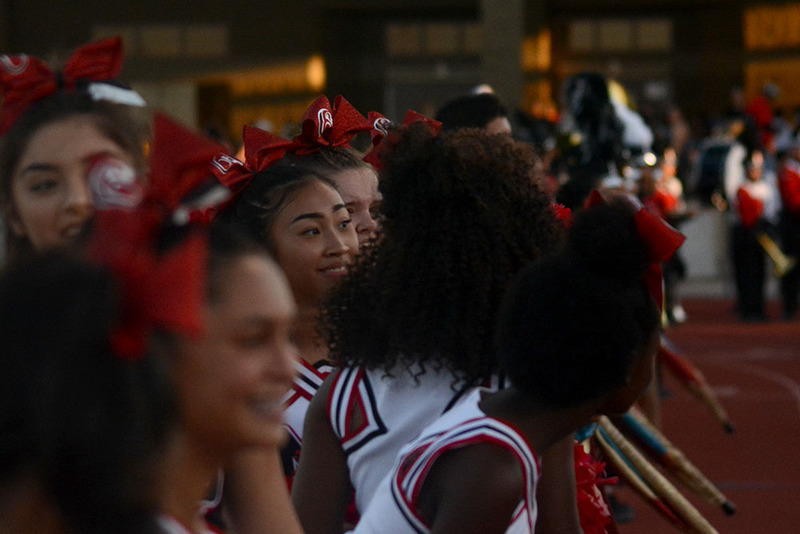 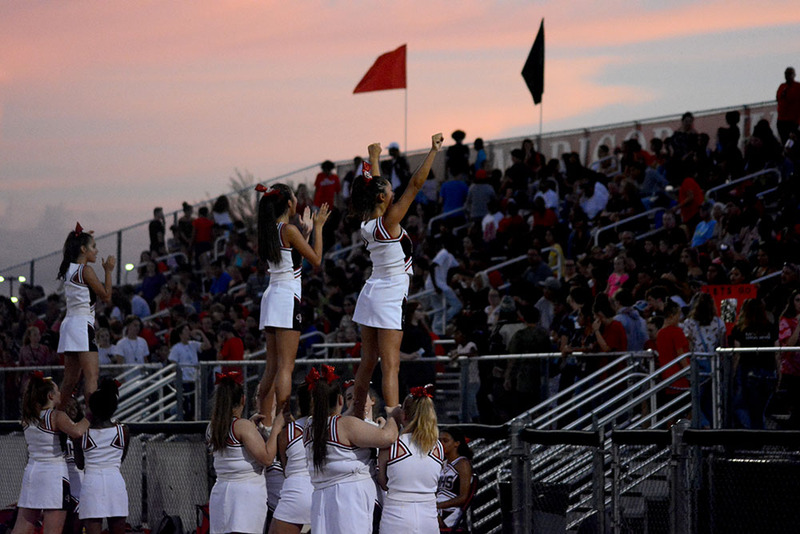 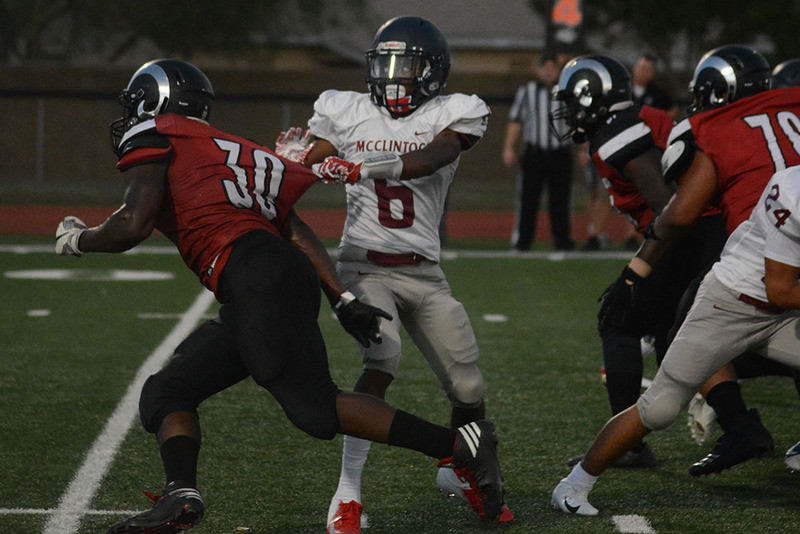 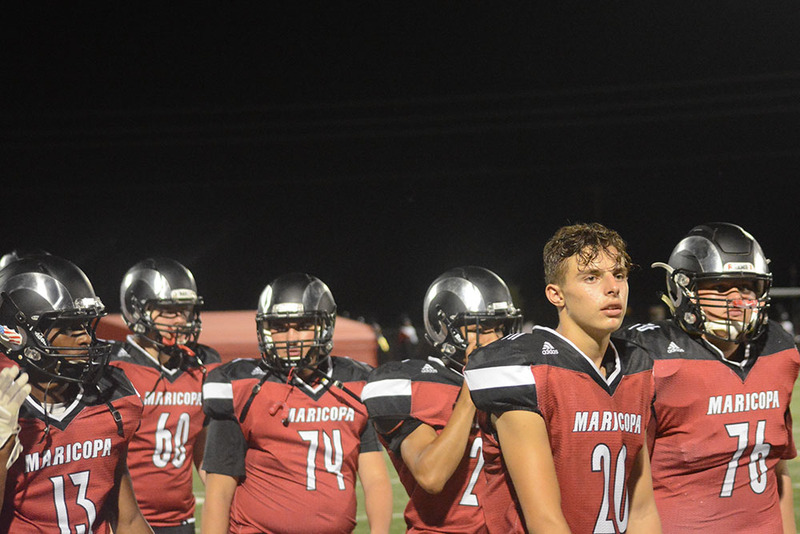 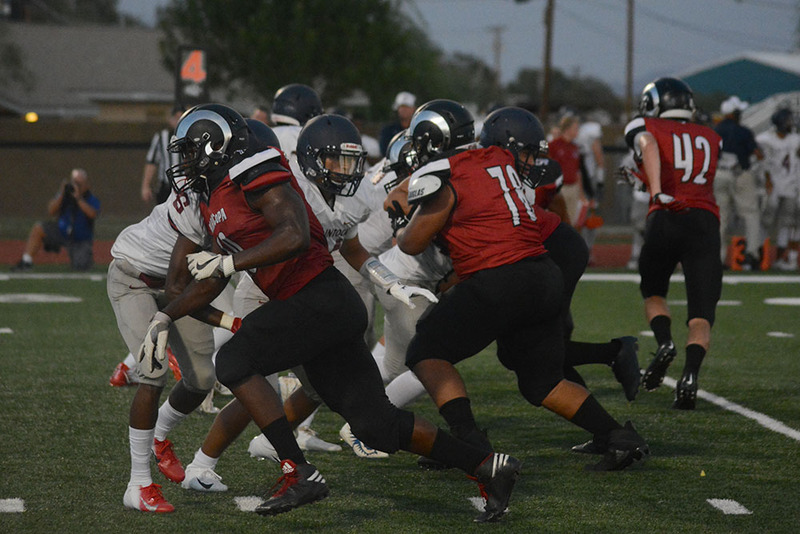 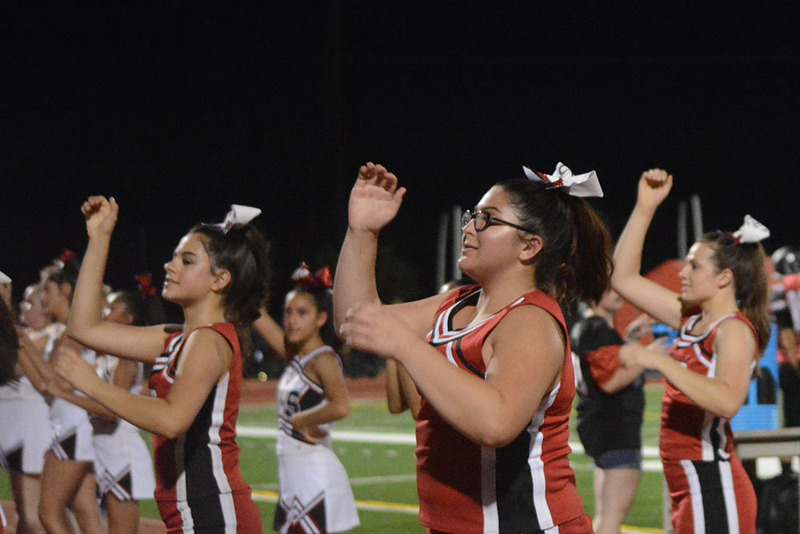 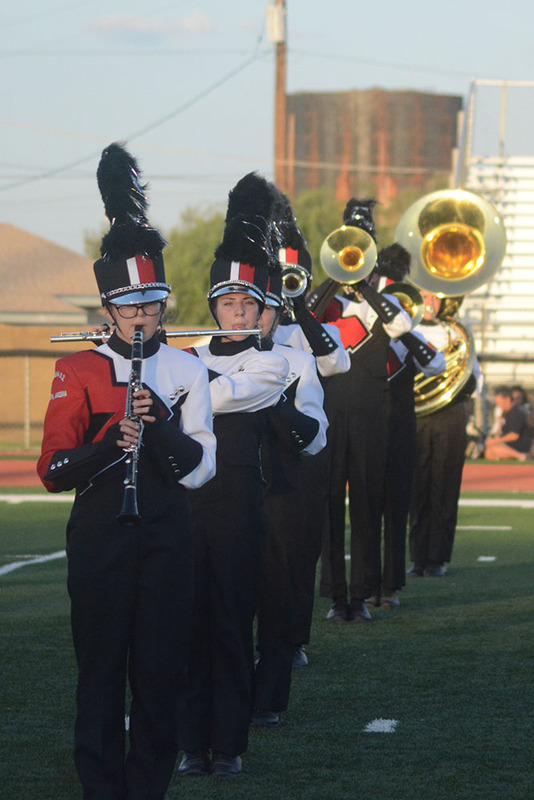 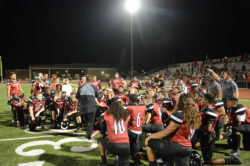 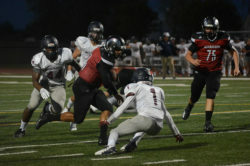 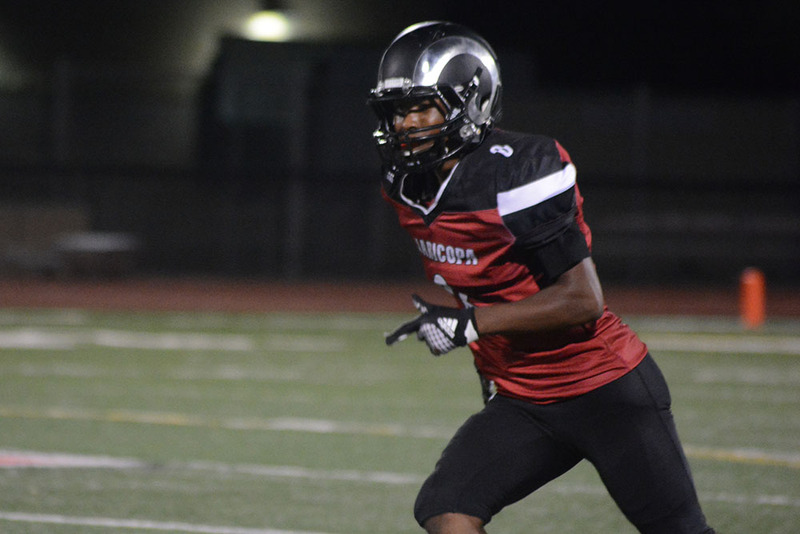 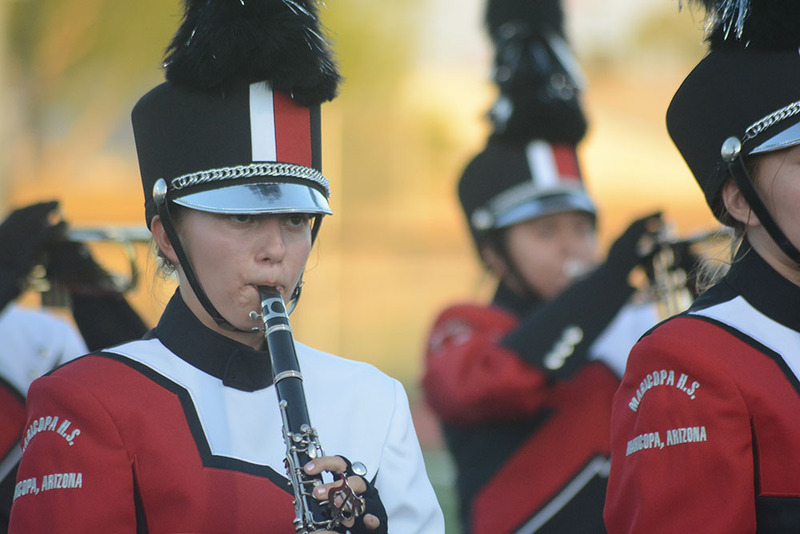 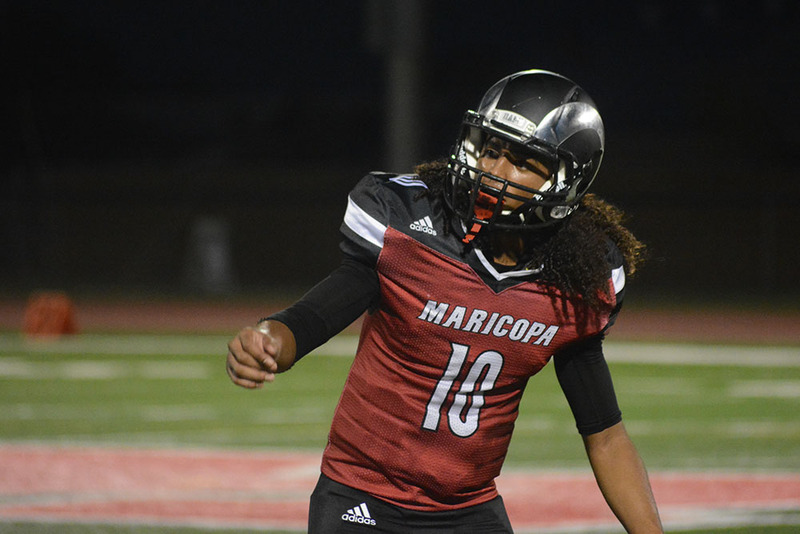 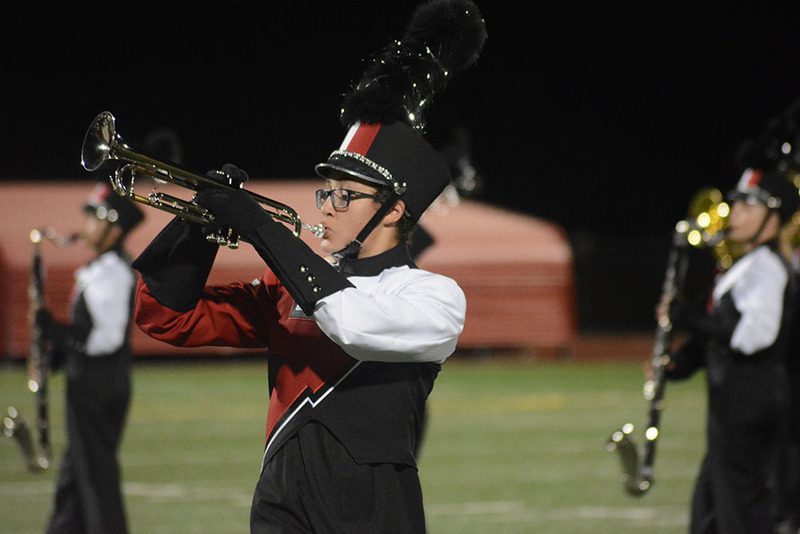 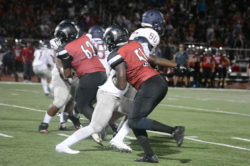 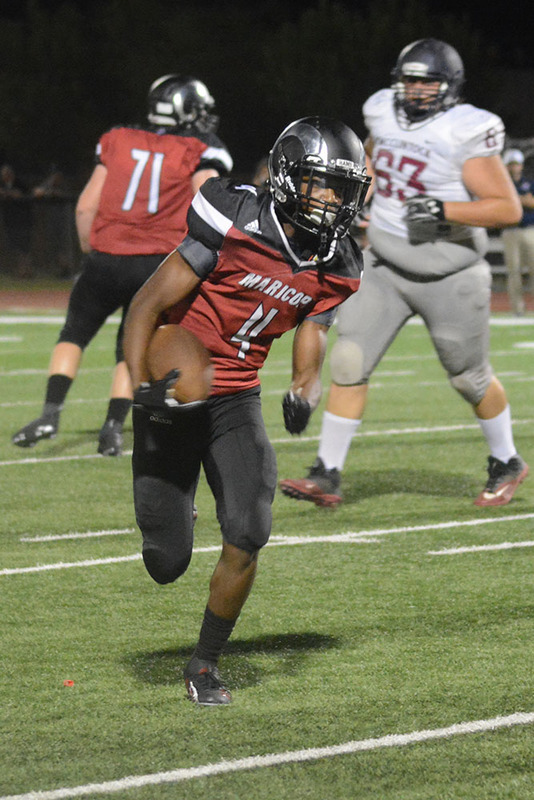 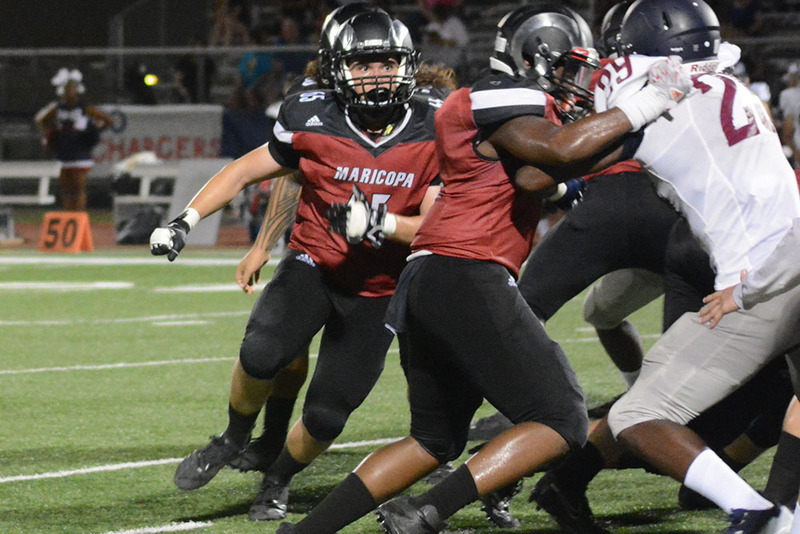 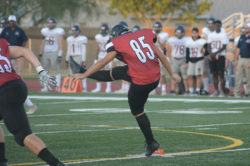 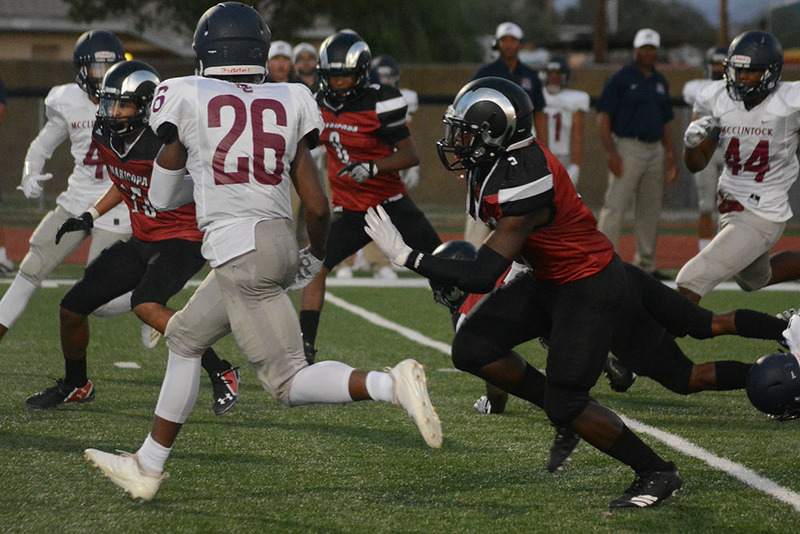 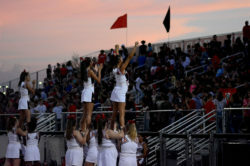 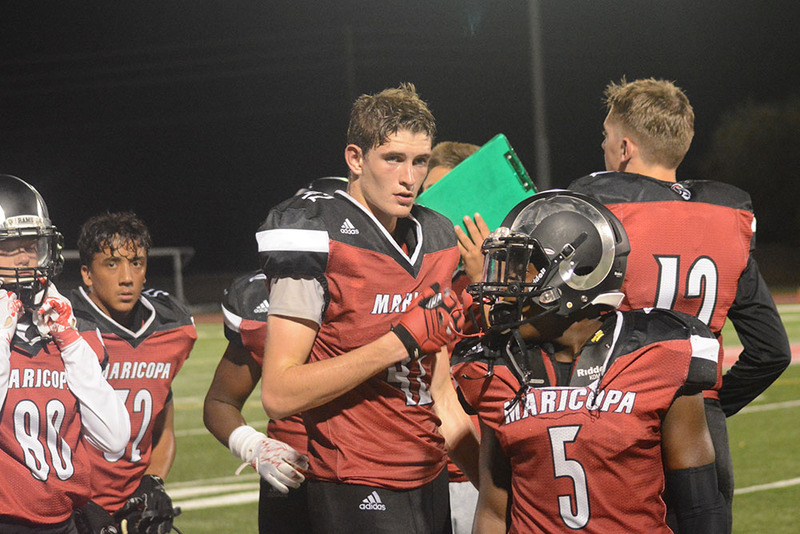 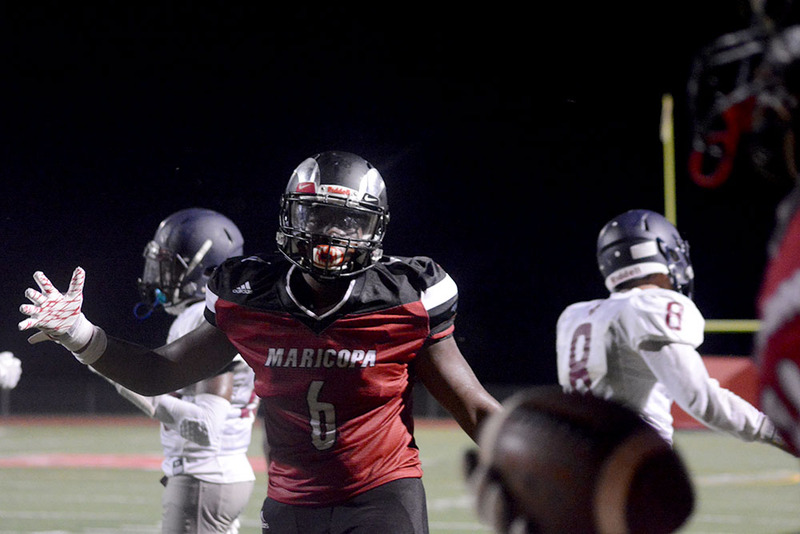 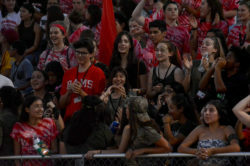 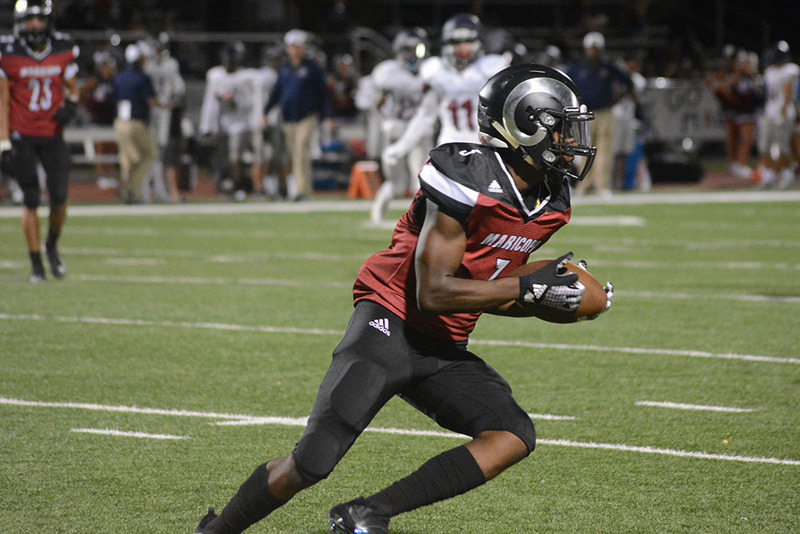 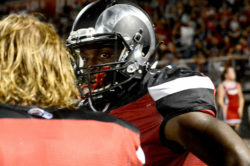 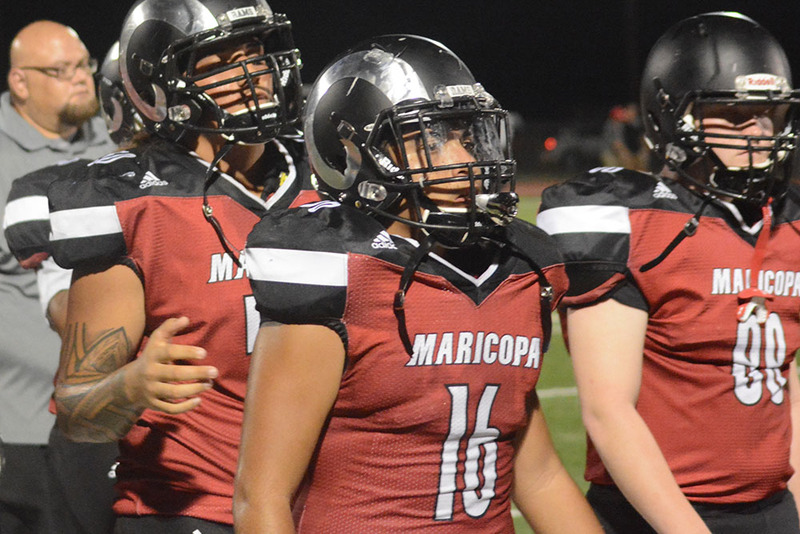 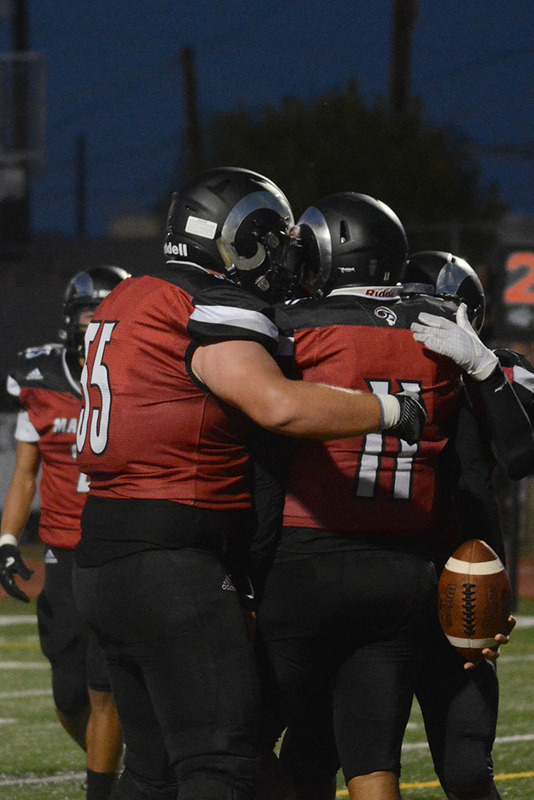 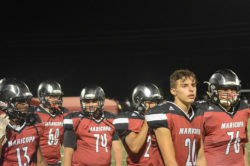 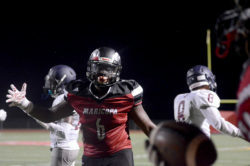 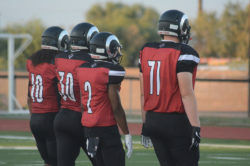 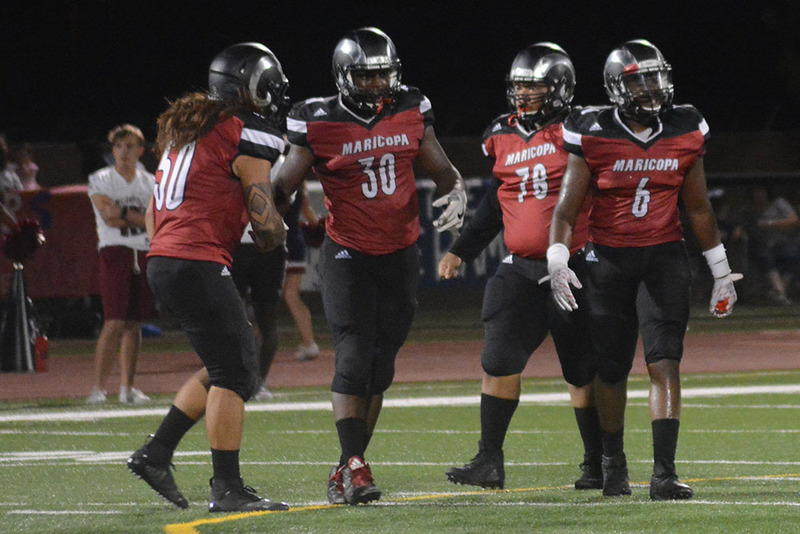 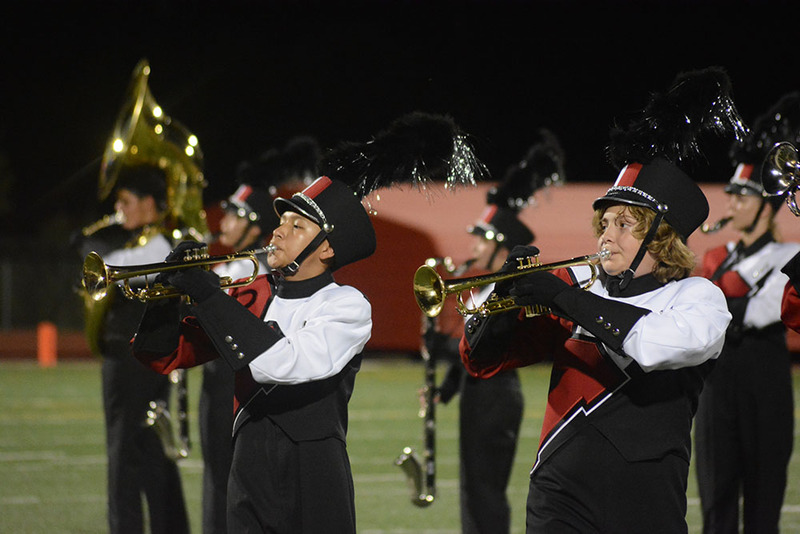 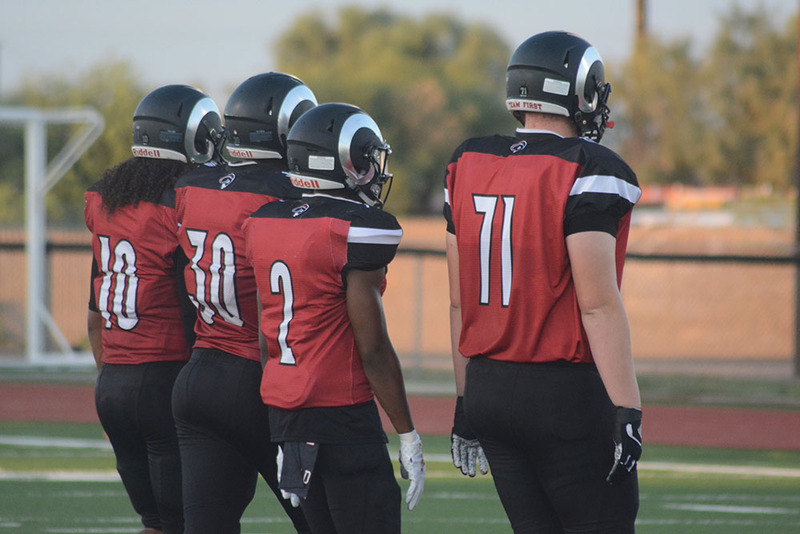 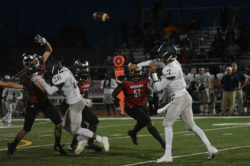 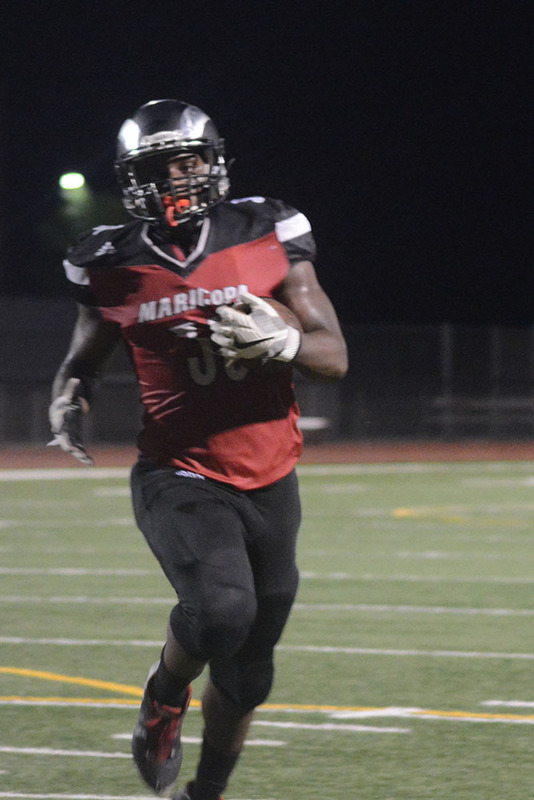 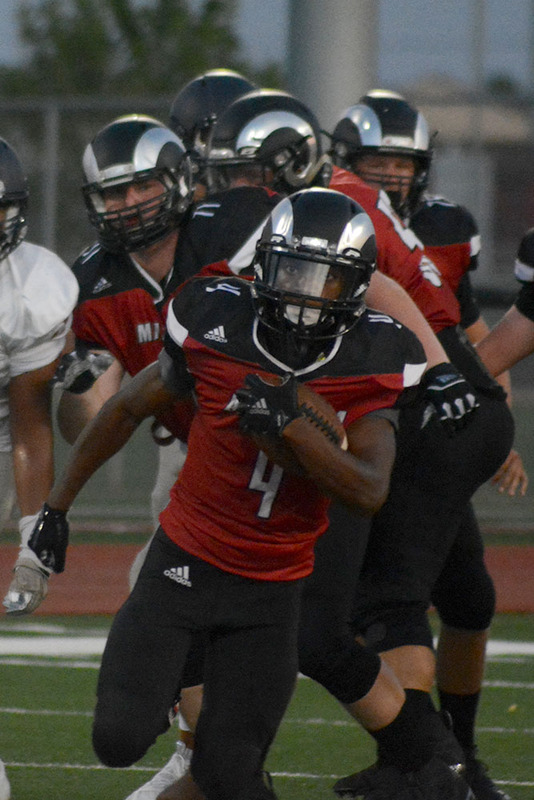 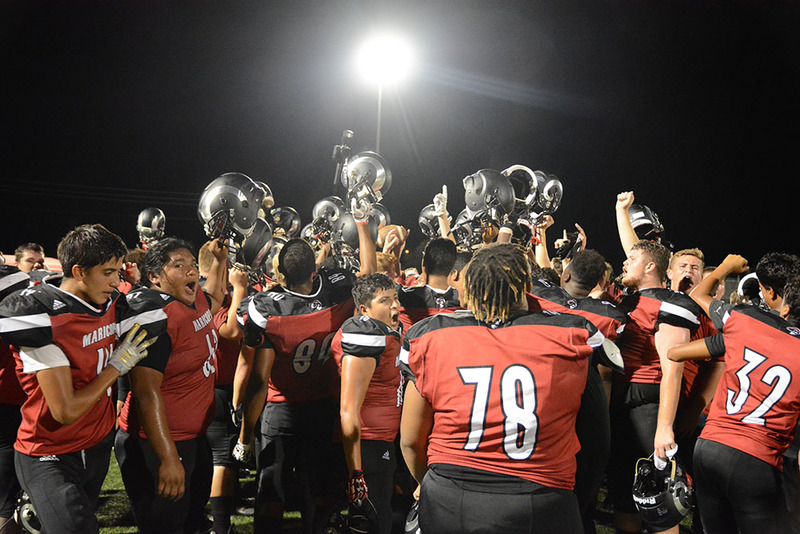 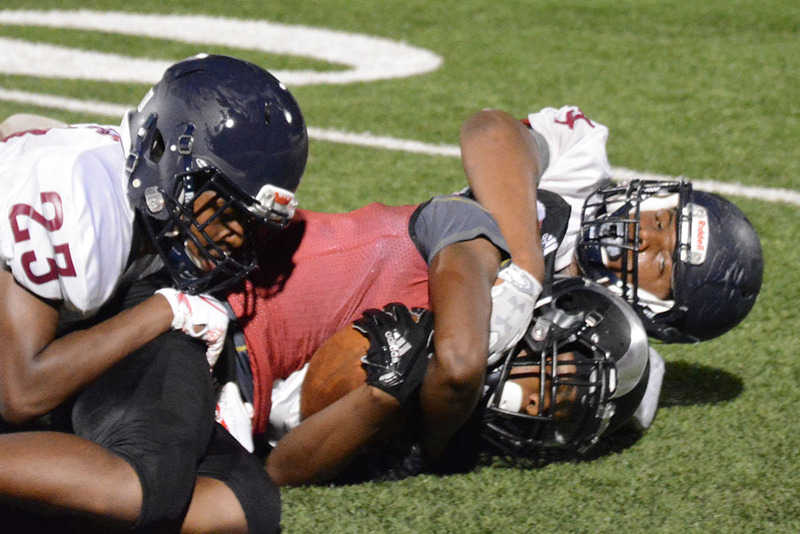 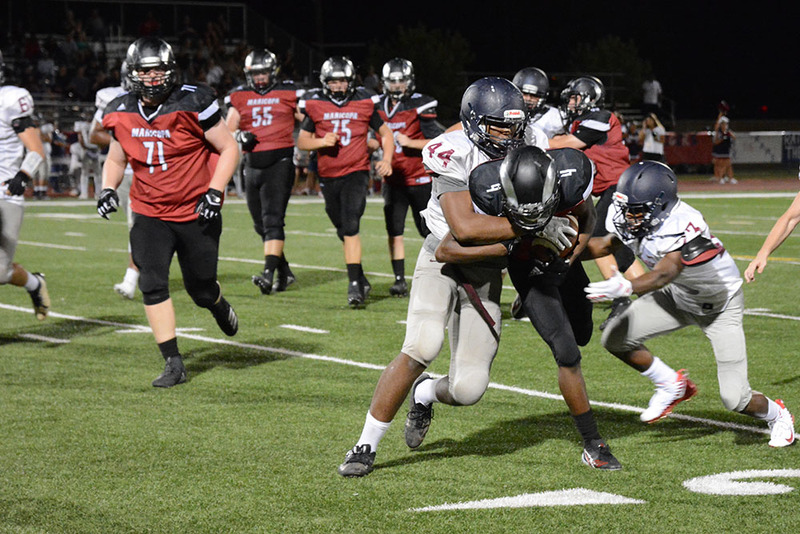 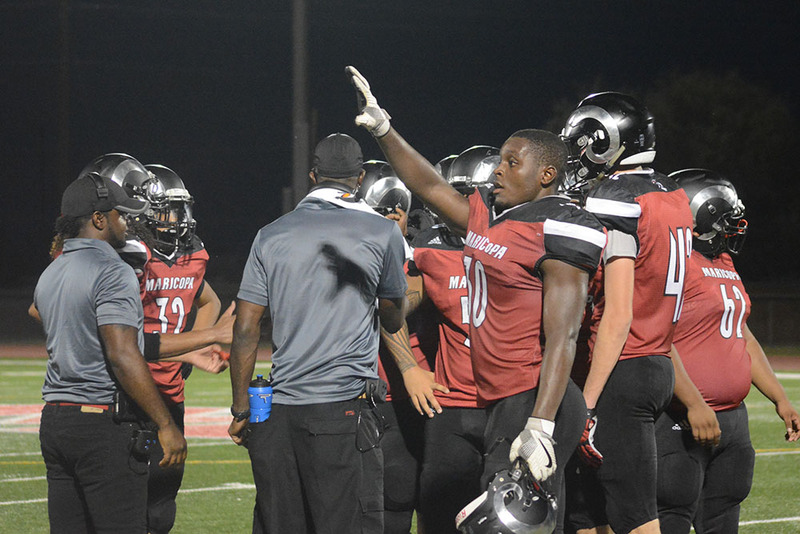 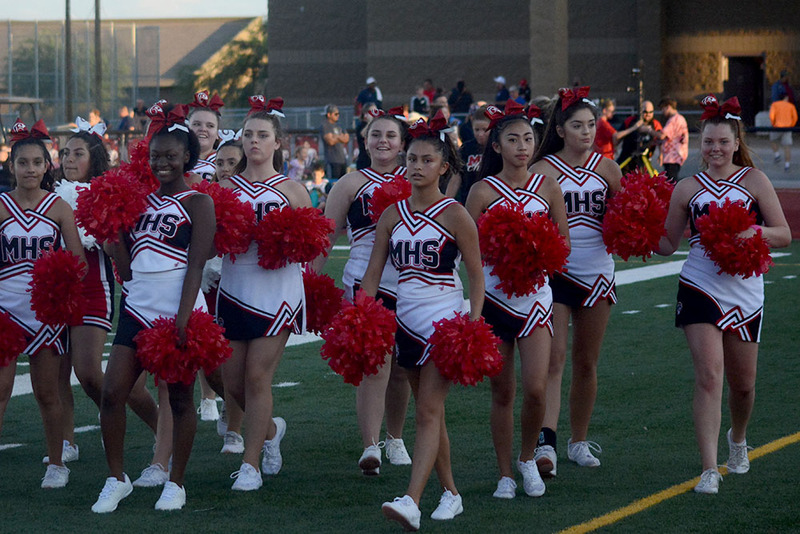 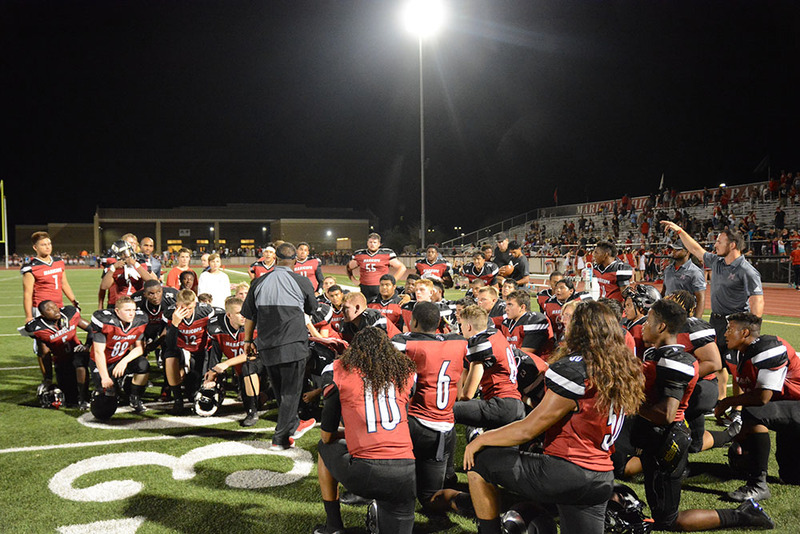 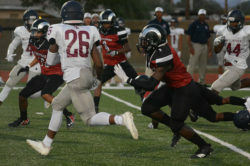 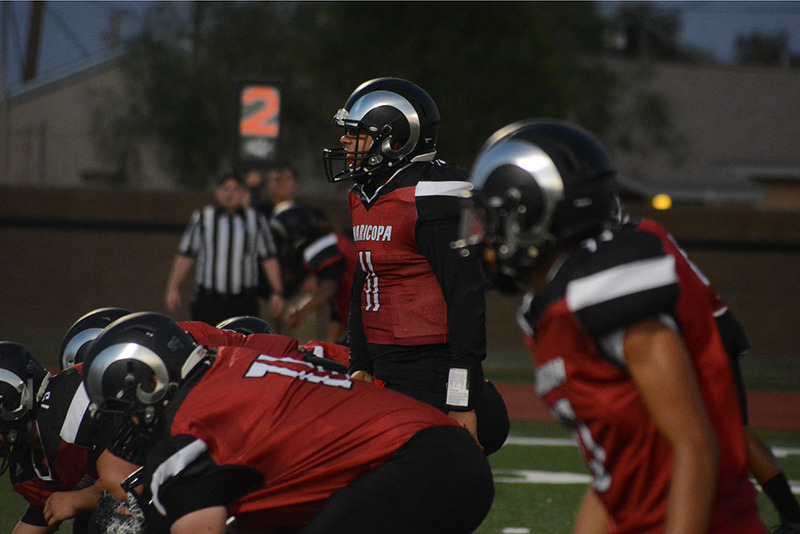 With a new coach and many untried varsity players, the newest incarnation of the Maricopa High School football team won its first game of the season Friday. 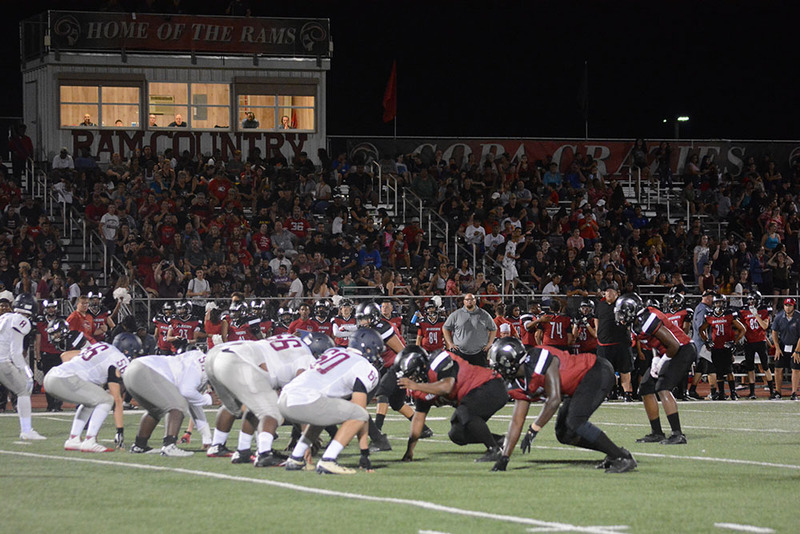 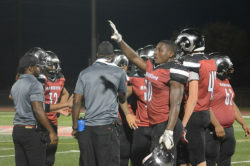 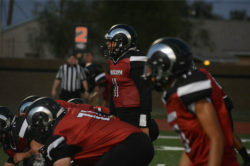 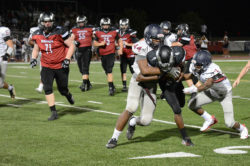 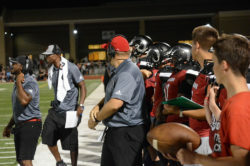 Hosting McClintock from Tempe, the Rams scored first and never gave up the lead, winning 38-21. 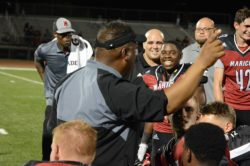 Head coach Brandon Harris kept alive his lifelong, first-game winning streak, pointing out it’s the only game all season for which they have four months to prepare. 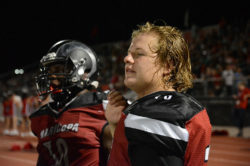 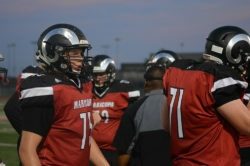 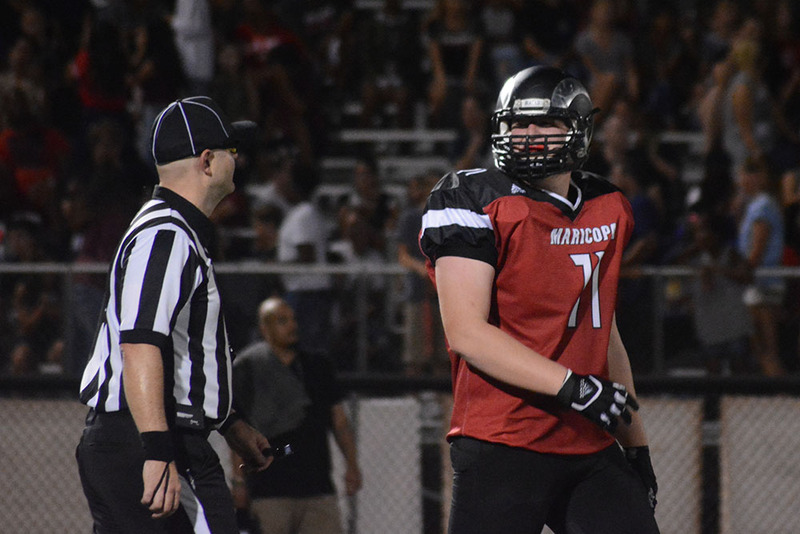 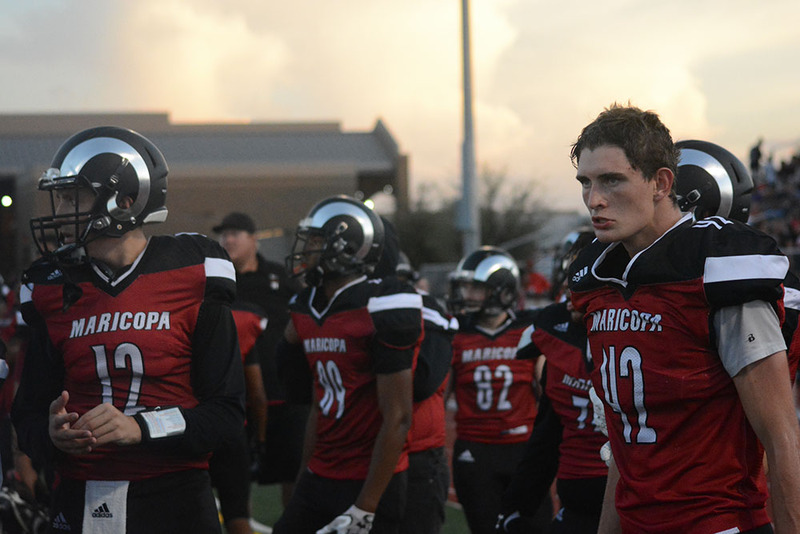 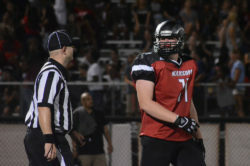 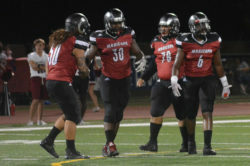 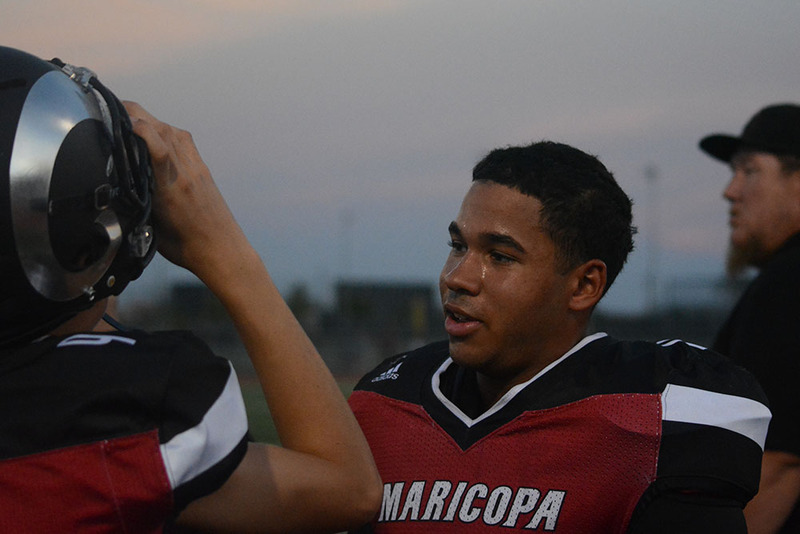 There were “early-season errors” and protection issues on the offensive line as Maricopa fans got their first real look at new quarterback Jordan Huddleston, a senior transfer student. 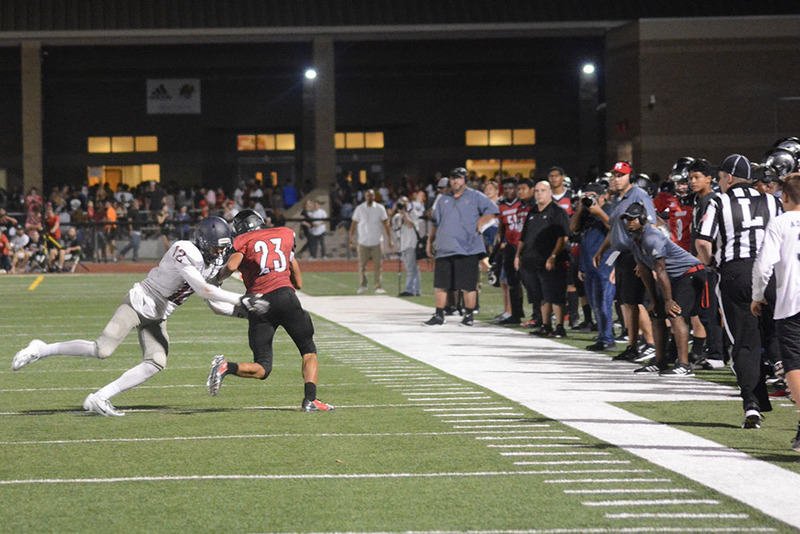 Though he had only a few chances to show off his arm, he did pass to senior Jacob Cowing for a touchdown. 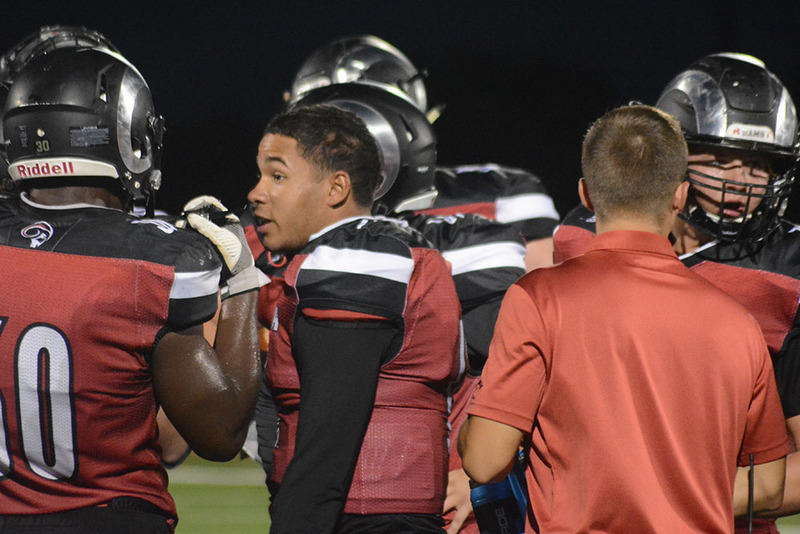 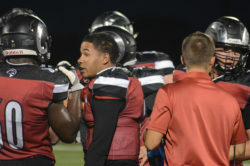 Coleman, a standout last year on D, played both ways Friday, inflicting touchdowns and sacks on the Chargers. 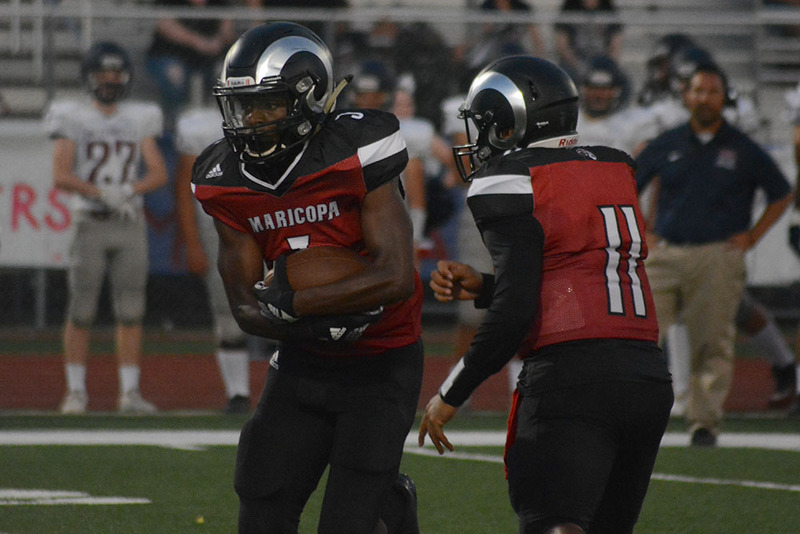 Moreira put the Rams into the end zone first five and a half minutes into the game. Coleman ran in from the 17 to put Maricopa up 12-0 while still in the first quarter. 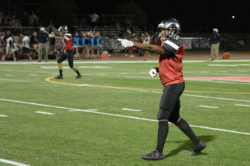 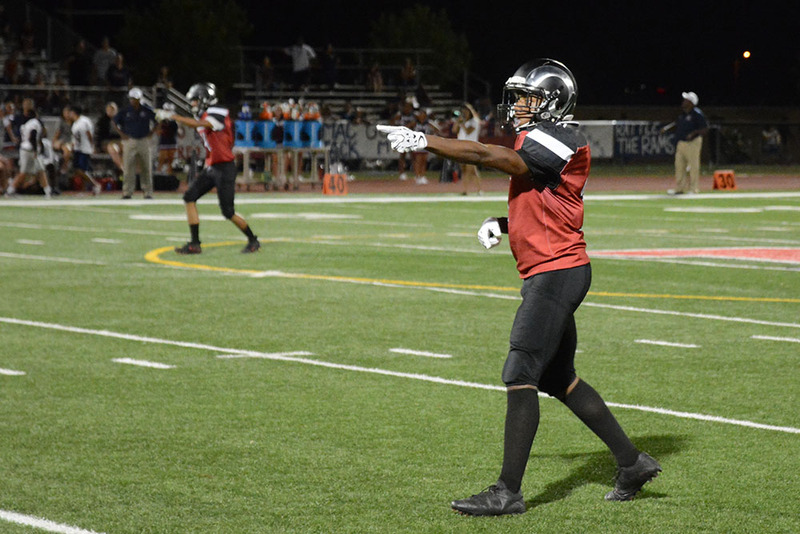 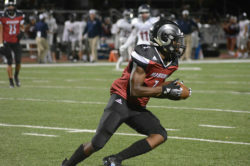 With the Rams having early special-teams problems, McClintock’s William Roberts was able to juggle and drop a kickoff return and still return it 80 yards for a touchdown to bring the Chargers within five points. 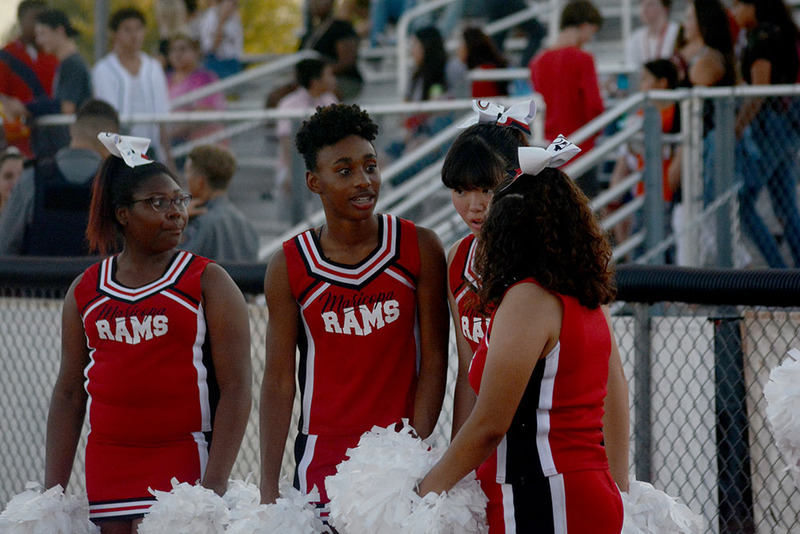 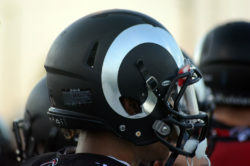 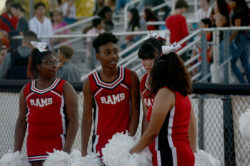 Both teams scored a touchdown apiece in the second quarter, and the Rams went into the locker room leading 19-14. 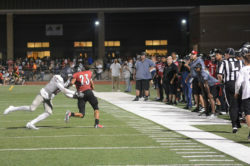 But Cowing scored on a 15-yard reception and then grabbed a crucial interception to get the ball back. 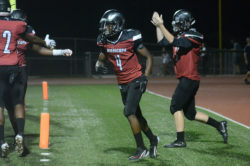 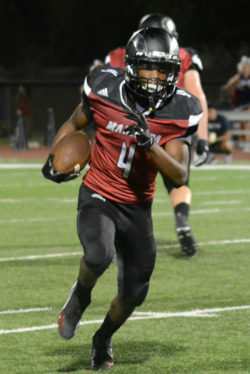 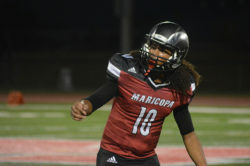 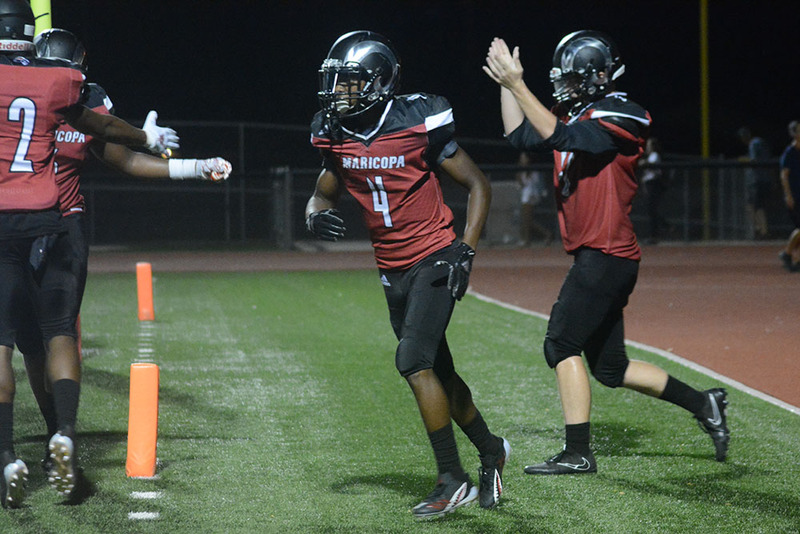 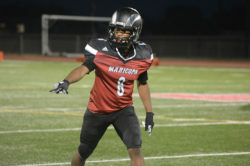 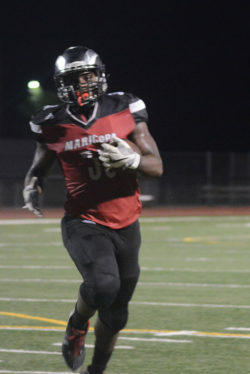 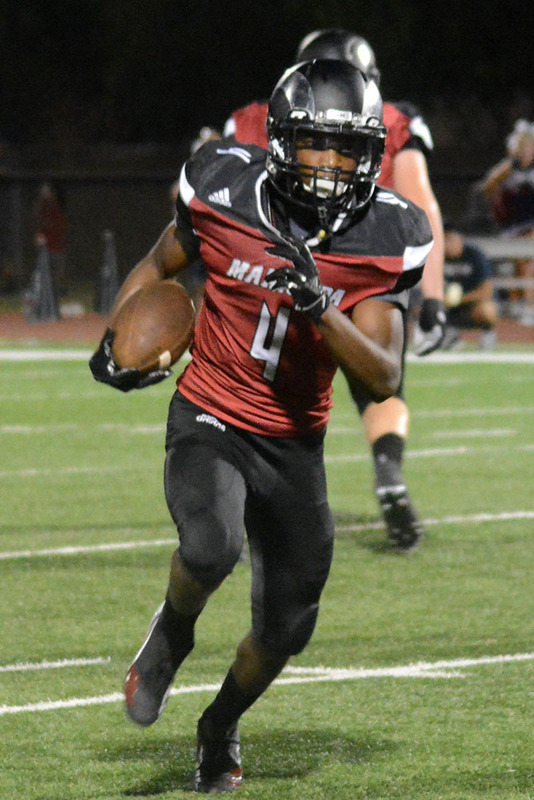 That eventually led to Coleman scoring from the 6-yard line to put Maricopa ahead 31-14. 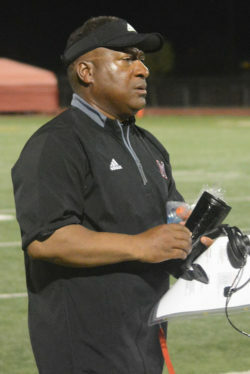 Though the Chargers scored quickly in the fourth, the Ram offense had long possessions, wrapping it up with a one-yard touchdown run by Chavis.